Leonard M. Tayon Jr. returned to his Father in Heaven on Saturday, May 19, 2018. Leonard was born in Granite City, Illinois, on Dec. 22, 1954, to Leonard M. Tayon Sr. and Clara V. Weise. He was the fourth child of six. He moved to Utah when his dad was transferred to Tooele Army Depot. He married his beautiful high school sweetheart, Janet Paskett, in July 1973. They have four supportive and loving children: Michelle and Paul Callister, Scott and Katie, Christopher and Cassie, and Cynthia and Jeff Williams. They have 12 fantastic and fun grandchildren. Leonard became an EMT in 1980 and soon after became a volunteer firefighter with the Grantsville Volunteer Fire Dept. Leonard and Butch Barton started the Fire Prevention Programs for the schools in 1983. In 1992, Leonard was involved in an industrial accident at US Magnesium. He was burned over 52 percent of his body. He had endured many surgeries over the years, including a cornea transplant to restore his sight. Please consider organ donation. He returned to work at US Magnesium after his recovery and worked at the Magnesium facility for 45 years. He loved people and enjoyed life. He held many callings in the LDS Church. Leonard served as bishop of the Grantsville Third Ward from 1995 to 2000. His pure joy was serving in the Boy Scout Program. Leonard and Janet enjoyed volunteering at the U of U Camp Nah Nah Mah, a camp for burn survivor children ages for 4 to 12 every summer. Leonard was also a counselor for the adolescent river trip where children ages 12 to 18 run the Green River. Leonard and Janet were members of the SOAR program (Survivors Offering Assistance in Recovery). They were able to talk with patients at the Intermountain Burn Center offering information and encouragement. His greatest achievement is his posterity. Preceded in death by his parents Leonard and Clara Tayon, brother Martin Tayon, mother- and father-in-law Albert and Abbie Paskett, sister-in-law Linda Paskett, and daughter-in-law Jessica Clark Tayon. 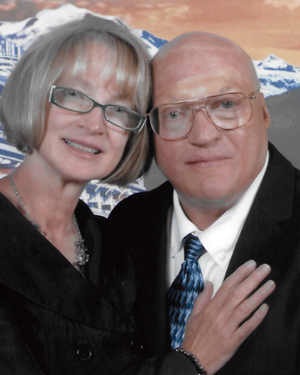 There will be a visitation on Monday, May 28, from 6–8 p.m. at the Grantsville West Stake Center, 115 E. Cherry Street. Funeral services will be held at the same location on Tuesday, May 29, at 11 a.m. with a visitation starting at 10 a.m. Graveside services will directly follow at the Grantsville City Cemetery, 370 W. Main Street. In lieu of flowers please donate to the University of Utah Burn Camp. Please send a check to U of U Burn Camp Programs, in memory of Leonard Tayon. 50 N. Medical Drive, Salt Lake City, Utah 84132.